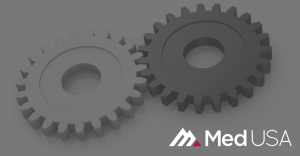 With nearly four decades of experience serving medical providers across the United States, there’s no better team than MedUSA for your practice to partner with. We offer unrivaled customer service to any provider, big or small, looking for help with revenue cycle management, medical billing, electronic health records, practice management, medical coding, and healthcare provider insurance enrollment services. We’re proud to say we have a 95 percent first-pass claims rate and 34-day accounts receivable metric; that’s nearly a month quicker than the industry average. In addition, our BI solutions give any provider, especially those independently owned, the best quality with billing solutions. The BI solution gives you real-time data analytics, whether on your mobile device or desktop. You can use BI to see your practices visits on a weekly, monthly, or even hourly basis, empowering you to make decisions based on data. For any provider looking for a partner in the medical billing business, MedUSA is a premium brand. Our experienced staff offers boutique service and we treat physicians as our partners, not clients. Your practice will be better off with MedUSA at your side. From customized claim edits to automated appointment reminders and integrated payment solutions, no task is too great for us to accomplish. If you’re interested in seeing how we can assist your practice, call us today. (801) 352-9500 We look forward to serving you!